Axiom Information Technologies is a software solution firm backed by team of world-class software architects. As a leader in Jewellery domain, Axiom provides deep domain and subject matter expertise to its clients. Our core domain expertise is in Jewellery Sector, Axiom is also having proficiency in other domains such as manufacturing, distribution, education and public sector. The company was formed in 2010 by a team of software professionals, having in-depth experience of web technology and organizational development. We have innovative ideas, years of experience and skills to deliver what our clients desires. We have a team of experts who ensure quality check at every step of development, from creation to finish.Axiom believes in new concepts, assurances, market analysis, research and instigating new projects and conceptions to show information. 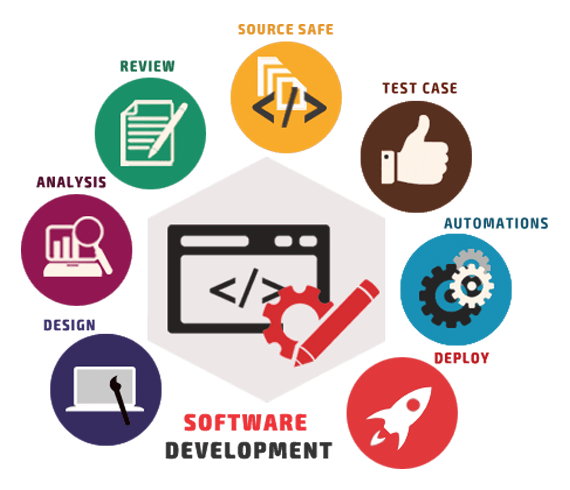 As a software development company, we are also taking care of promoting your business and enhancing your brand name. Our vision is to develop in a constant manner and grow as a major IT service provider to become a leading performer, in providing quality Web and Software Development solutions in the competitive global marketplace. Our company has a professional approach and integrated process that reflects in what we do. We always guide our customers to attain the requisite. We have the ability to accelerate and quickly share the great work or products of your organization or business. Our mission is to deliver optimal solutions with quality product and services at reasonable prices. For us customer satisfaction is given top priority. Our welcoming approach in our dealings to the customers helps us retain existing clients and expand customer circle. We always try to improve the quality of our products by exploring innovative accepted wisdom. Our mission is to enhance the business growth of our customers. We value and accept integrity in all that we do.We recognize that the foundation of our growth and success is in making each and every client project a realization in the market globally.We strive for operational and service excellence through a relentless focus.We are determined to build a company culture based on superior performance, success through teamwork, respect and recognition for the individual, diverse and challenging work.